Converts Wylex standard rewireable fuse holders or cartridge fuse holders to MCBs. Includes breaker and colour coded contact shield base. 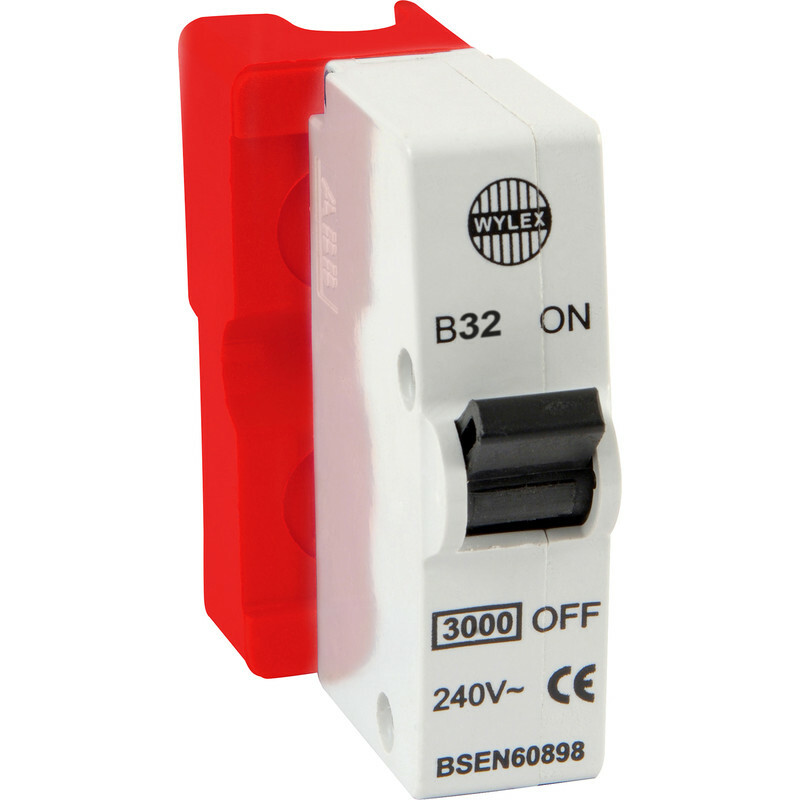 Wylex Plug in Breaker B Type 32A Red is rated 4.5 out of 5 by 47. Rated 5 out of 5 by JimboJ from Easy Easy to purchase, easy to fit. Rated 4 out of 5 by John16 from Great replacement for fuse wire circuit breaker brought a whole set of these circuit breaker 6 amp to 32 amp. Good price, One screw to hold them in easy to fit and safer than the fuse wire fuses. Rated 5 out of 5 by Dharmabum from Good improvement Provides interim solution for old board until new CU installed. Rated 4 out of 5 by BJBC from Easy to install Extremely pleased i found this product in your catalogue. I have now upgraded my garage power supply including RCD power points. Had to contact Wylex to resolve fuse cover. Existing cover had knock out front so existing cover could be reused to advantage.